British Cycling has confirmed the full entry list for this weekend’s National Track Championships, which will see Olympic, Paralympic, world and European champions battle for national titles. Four-time Olympic champion Laura Kenny will make her first appearance at the National Track Championships since 2015, contesting the scratch and points race. She will have competition for those titles from – amongst others – her fellow Rio gold medallists Elinor Barker and Katie Archibald. 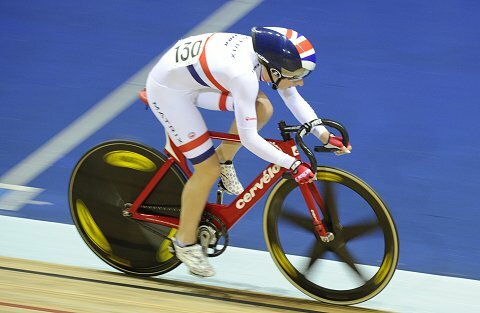 Archibald, who won three titles at the 2018 championships, will also compete in the individual pursuit (IP) and sprint events. European team pursuit champions Ellie Dickinson and Neah Evans (IP, scratch, points), world Madison champion Emily Nelson (IP, scratch, points, team pursuit), multiple world cup medallist Emily Kay (IP, scratch, points), Paralympic legend Dame Sarah Storey (IP) and national road race champion Jess Roberts (IP, scratch, points) will compete for endurance titles, while Jess Crampton will defend her keirin crown. Britain’s joint-most successful Olympian, Jason Kenny, will also compete this weekend, as he continues preparations for next month’s UCI Track Cycling World Championships. Kenny will line up in the team sprint, sprint and the keirin – the three events in which he is current Olympic champion. Also competing are Kenny’s fellow Olympic gold medallist Phil Hindes (sprint and team sprint), world championship silver medallist Jack Carlin (sprint, team sprint and keirin) and world cup medallists Joe Truman (sprint, team sprint and keirin) and Ryan Owens (sprint). World cup gold medallists and 2017 national champions, HUUB Wattbike, will aim to regain their team pursuit title, while team members John Archibald, Dan Bigham and Jonathan Wale will also have their sights set on individual titles. Archibald, who set an unofficial world record in Switzerland last month, will be favourite for the individual pursuit title, but will face competition from – amongst others – Bigham and Ethan Vernon, who last year recorded a world best time in the 3km version of the event. Bigham and Wale will contest the kilo, as will Matthew Rotherham, while Vernon, Commonwealth champion Mark Stewart and world and European champion Ethan Hayter will be among those competing for the scratch and points race titles. Multiple Paralympic champion Jody Cundy will be looking to add to his impressive medal collection as he lines up in the para-cycling 1km time trial and 200m flying start time trial. He will count a number of fellow Paralympic champions among his rivals, including Kadeena Cox, Jon-Allan Butterworth, Louis Rolfe and Megan Giglia. There is also no shortage of medal-winning experience in the tandem races, with world champions and Olympic gold medallists Neil Fachie, Lora Fachie and Sophie Thornhill all targeting national champions’ jerseys. National Track Championships will take place between Friday and Sunday, with limited numbers of tickets still available from here for certain sessions.